50 Objects for 50 Years - A new item each week from the Library archives, celebrating 50 years of innovation. 49. From the Australian Front, Xmas 1917. 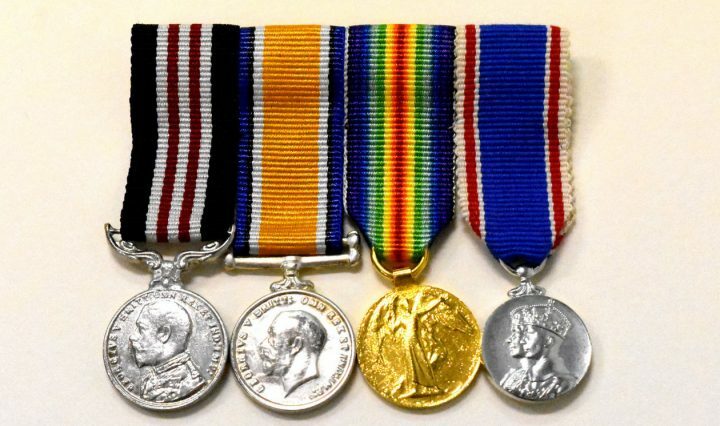 From the Australian Front, 1917 When From the Australian Front was published in 1917, General Birdwood wrote in the introduction – At Christmas, two years ago, … we were presented with an excellent production in the form of the “Anzac … Continue reading 49. 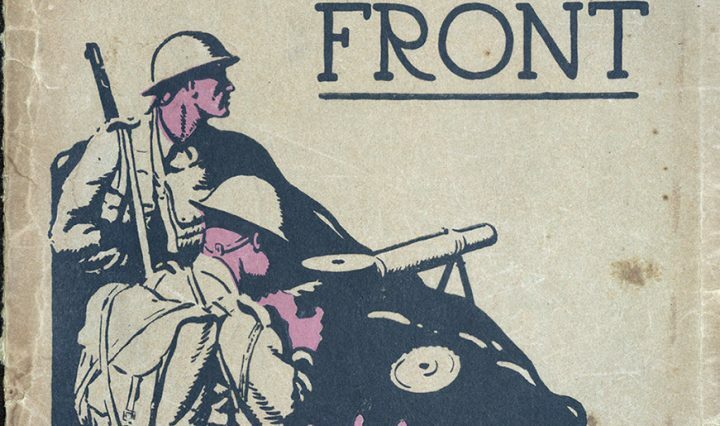 From the Australian Front, Xmas 1917. 48. The Pear Tree Dance Quilt, 1999. For this week’s post we found an object from the Elizabeth Jolley Research Collection – a beautifully designed quilt inspired by the writing of Elizabeth Jolley, with the title The Pear Tree Dance. The Pear Tree Dance in Jolley’s writing In 1970 … Continue reading 48. 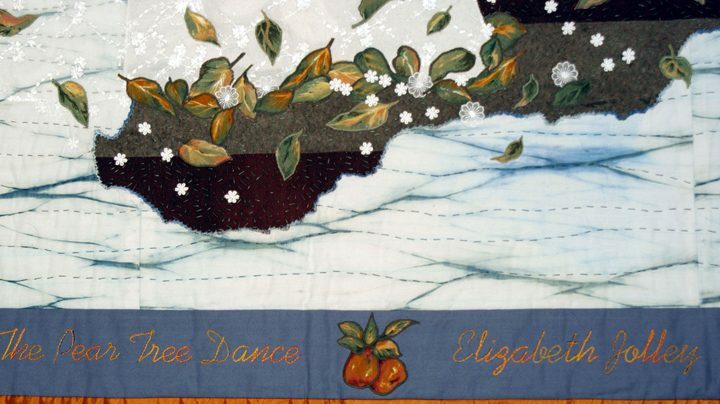 The Pear Tree Dance Quilt, 1999. 47. The Camp, by Vance Palmer, 1920 and letters from Katharine Susannah Prichard. 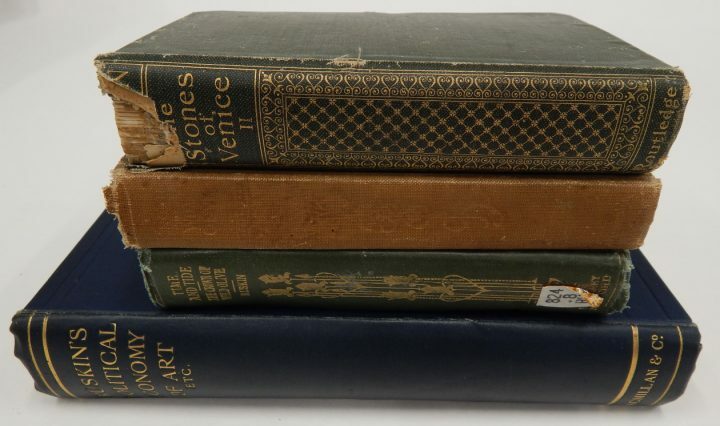 The Camp Some of the final objects selected for these blogs feature books that were part of John Curtin’s private library. Curtin loved reading, and loved libraries. 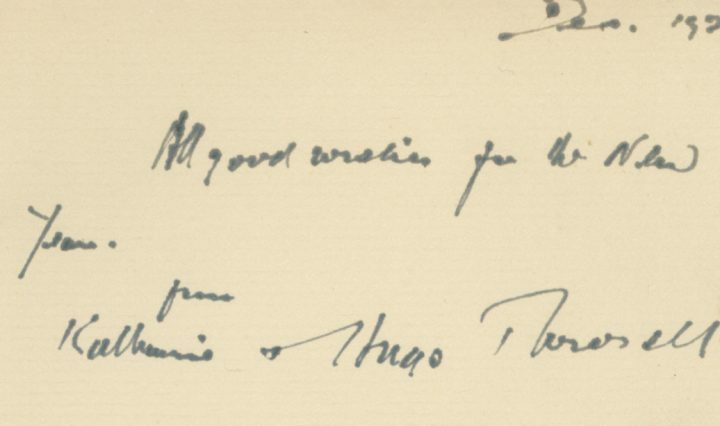 He began buying books in his early working life, and borrowed from several libraries. Books … Continue reading 47. The Camp, by Vance Palmer, 1920 and letters from Katharine Susannah Prichard. 45. John Curtin’s Call up Notice – W.S Form 8 Order to Attend Military Training, 1916. Filed between a letter and a pamphlet, Object 45, the W.S Form 8 Citizens Forces of the Commonwealth, is the call up notice requiring John Curtin to … Continue reading 45. 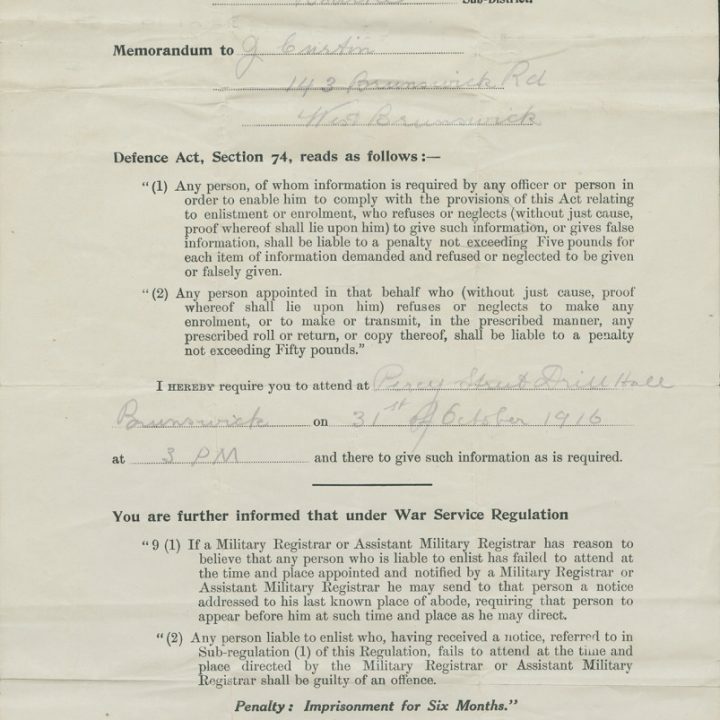 John Curtin’s Call up Notice – W.S Form 8 Order to Attend Military Training, 1916. 44. Minister McCallum’s Press Cutting Album, 1924-1928. 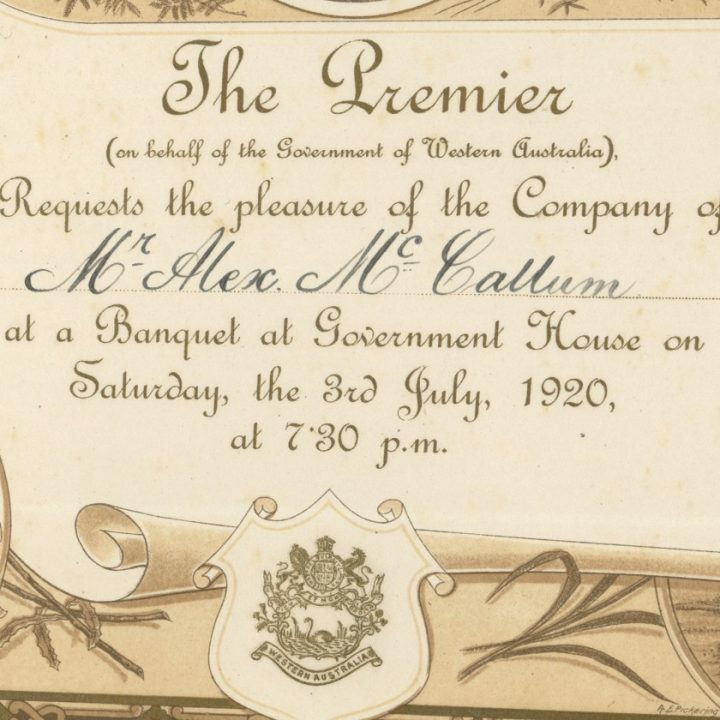 Ministerial Press Cutting Albums Library Special Collections holds the records of Prime Minister John Curtin, and also the records of several other West Australian politicians, including Premiers (Carmen Lawrence and … Continue reading 44. 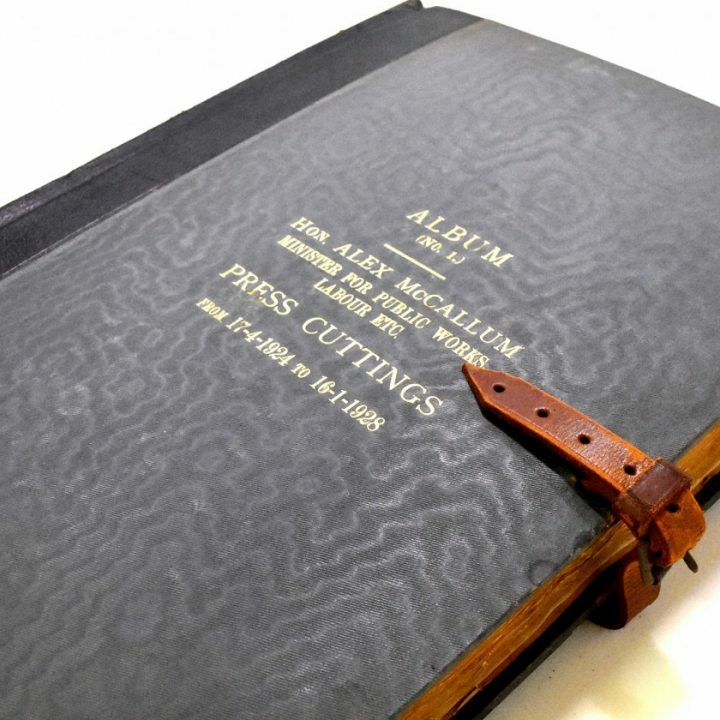 Minister McCallum’s Press Cutting Album, 1924-1928. 43. Royal Invitation, State Banquet, 1920. Inspired by the royal wedding in this month of May we took a look at all things royal in the collections. There are no royal wedding invitations … Continue reading 43. Royal Invitation, State Banquet, 1920.